GTBank Food & Drink Festival is our annual food exhibition and sales event that aims to project the diverse angles of the food industry by connecting various businesses involved in the production and sale of food-related items to a cosmopolitan audience of food enthusiasts. 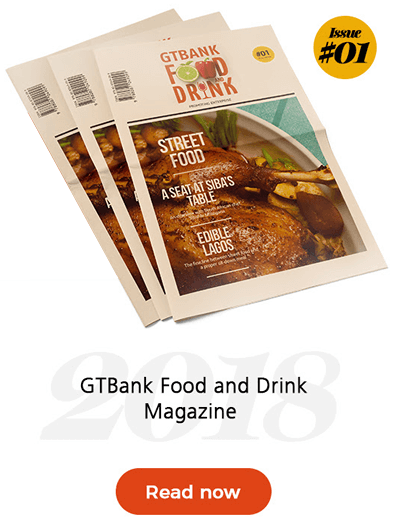 Watch video testimonial of the 2018 GTBank Food and Drink Fair. Increasing brand visibility and sales, whilst showcasing the latest products, trends & innovations in the food industry. Fostering knowledge and capacity building for all. Featuring cooking lessons from top Nigerian and foreign chefs. A family friendly event for the kids. Children will have the opportunity to engage in fun and educational activities. Enjoy a variety of tastings from casual to gourmet traditional Nigerian dishes and continental specialties.